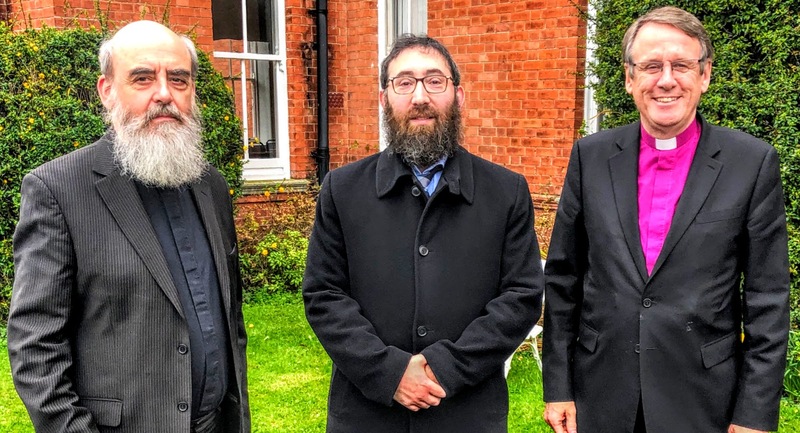 Bishop Kenneth Kearon recently chaired an interfaith consultation in Dublin on Church of Ireland relations with the Jewish Community in Ireland, attended also by Canon Patrick Comerford. The one-day programme on 5 March included an afternoon seminar with Rabbi Zalman Lent, with an open discussion of the rise of antisemitism across Europe. The consultation began with a visit to the area in Portobello, Dublin, popularly known as ‘Little Jerusalem.’ This included a guided tour of the Irish Jewish Museum on Walworth Road and the former synagogue in the building, with a question-and-answer session with members of the Jewish community. Rabbi Zalman Shimon Lent spoke at the afternoon meeting in the Church of Ireland Theological Institute about the present state of the Jewish community in Ireland. He also shared his experiences of growing up in Manchester, and he answered question about the rise of antisemitism in Europe and events in the Middle East. The participants were drawn from dioceses throughout the Church of Ireland, north and south. The consultation was organised by the Church of Ireland Interfaith Working Group, which is chaired by Bishop Kenneth. A similar one-day event is planned for September, with meetings with the Islamic community in Ireland.